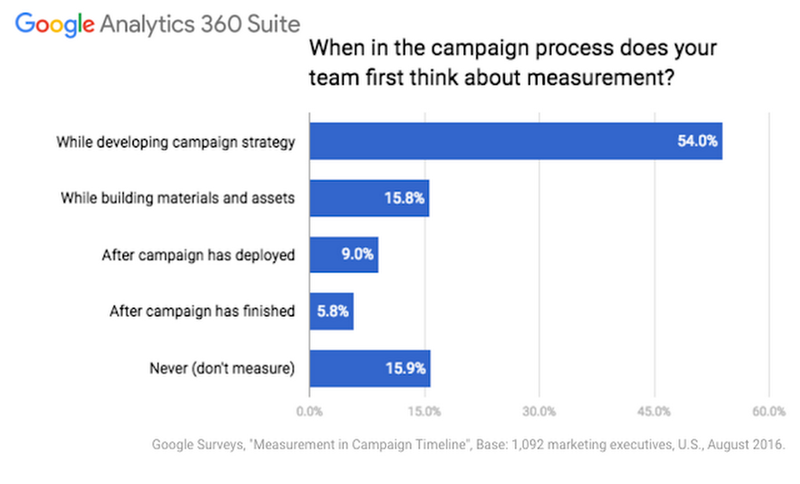 Why aren't more marketers measuring their campaigns? If Marketing and Measurement had a relationship status in today’s mobile-first world, it would be: "It's complicated." They've been sitting at the same table at lunch, there's been some small talk in the hall … but they haven't really gotten comfortable together. Which is a shame, because these two are perfect for each other. Consumers often have dozens or even hundreds of digital interactions before they buy something today. The sheer amount of data created is staggering. There are more than enough dots to be connected for full visibility into the customer journey. But, as much data as marketers collect today, the truth is many still struggle to make sense of it all. In some companies, you could say Marketing and Measurement find themselves sitting at opposite ends of the couch. Only 5 out of 10 marketers said they think about measurement while developing campaign strategy, a recent survey of marketing decision-makers shows.1 If you don't define your measurement goals from the beginning, you may not collect the right data — and understand what's working and what isn't. 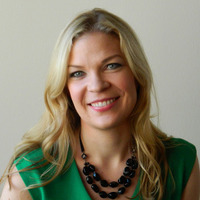 Are we measuring the consumer interactions that really matter? How quickly can we spot the key insights hidden in this data? How do we turn those insights into better customer experiences? It doesn't have to be complicated. When Marketing and Measurement go hand-in-hand throughout the customer journey, it can lead to more useful insights, higher revenues, and better experiences for everybody. Download “Measuring Marketing Insights,” a collection of Harvard Business Review articles offering best practices and insights on measurement, analytics, and how to turn data into action. 1-2. Source: Google Surveys, "Measurement in Campaign Timeline", Base: 1,092 marketing executives, U.S., August 2016. 3. Harvard Business Review, “Rethink Measurement From the Ground Up,” sponsor content from Google Analytics 360 suite, August 2016.